Following up on his New York Times bestselling memoir, hip hop kingpin 50 Cent has created his own line of “street fiction” novels featuring bestselling urban fiction authors called G-Unit books. 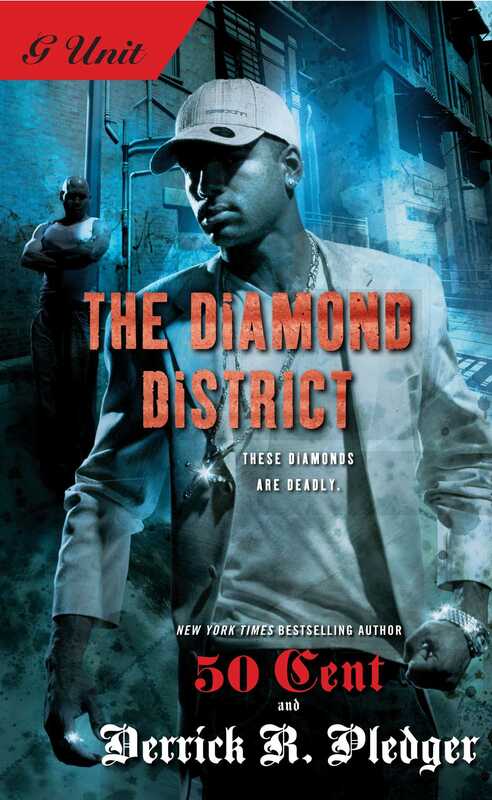 The Diamond District, written with debut author Derrick Pledger, is about a diamond robbery that goes wrong. THE STREET LIFE OR THE STRAIGHT LIFE? D.J. 's got an Ivy League diploma, the sexiest girl in the city, and the five best friends a dude could want. What he doesn't have is cash. When his boy, Dre, steals some ice from a thug after a fight, D.J. comes up with a get-rich-quick scheme worth thousands of dollars. But in this high-stakes game, you don't lie, cheat, and steal without paying the price, and after staring down the barrel of a handgun, D.J. learns a life lesson that college didn't teach him. Now which will he choose -- the straight and narrow or the streets? 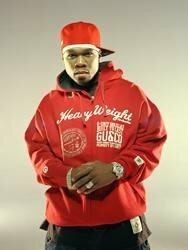 50 Cent is a record-breaking rap recording artist, entrepreneur, music producer, and actor. His debut album, Get Rich or Die Tryin', sold more than 12 million units worldwide, is certified eight times platinum, and was the basis for the semi-autobiographical film of the same title, in which he starred. He is the first artist to have four songs in the top ten of Billboard’s Hot 100 since the Beatles in 1964, and in 2012 he released his fifth studio album. He published his memoir, the New York Times bestseller From Pieces to Weight, which was hailed as “cool, hard, and vivid, a minor classic of gangster rap noir” (The New York Times). Under the G-Unit brand, his business empire includes a record label, apparel and footwear ventures, vitamin water, and more. He also created the nonprofit organization The G-Unity Foundation, which aims to better the life of urban youth. Learn more at 50cent.com.